Android Reborn – People have reasons when they want to hide their personal files from others. It’s not that difficult to hide photos on the gallery app. The most popular method is using third-party apps. Some phones have the ability to hide stuff, but not every phone has this capability. To use this app, you have to install it from the Play Store. Open the Google Play Store, find this app using the search feature. Launch, and then you’ll be notified that the hidden file list is still empty. Tap on the folder icon located on top right corner. It’s not hard to use this app since it works pretty much like a file manager. Just make sure you know where the files are stored. Otherwise, you’ll probably have a hard time finding them. Check the files you want to add to the vault. Go back to the main screen, followed by tapping the ‘Hide All’ section. Once this function is executed, all the files will no longer be visible. You can check them on the Gallery app. They’ll be gone since you’ve made them disappeared using the app. If you want to see the files again, a tap on ‘Restore All’ will do that. Gallery Vault is another app you can use to hide files on your VIVO Smartphone. The steps are similar to the previous app. It starts with downloading the app from the Play Store. Once it’s added to the phone, time to configure it. Open the app, shortly after you will be prompted with the ‘Grant Access’ notification on the screen. Tap it, next you’ll be required to set a password and enter an email for recovery. After filling out the boxes, tap on next until the end. Check out the main screen. There are a few buttons there, one of which is a plus (+) button. Tap that, and then select photos and videos you want to hide. There will be a confirmation that the files have been successfully moved to gallery vault. 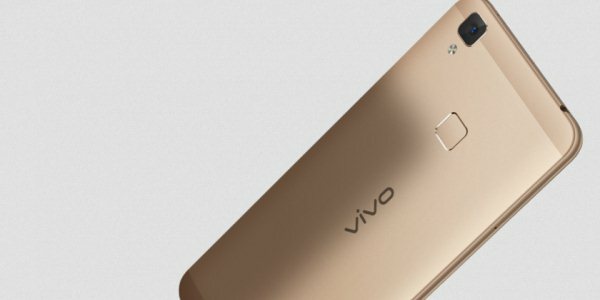 That’s how to hide photos & videos in VIVO.